When it comes to hiking, nothing is more important than your knees. I mean, sure you’re probably going to want feet, legs will help, and the rest of your body probably has something to contribute, but without knees? Forget it! In fact, knee injuries are one of the most common ways in which preppers damage their bodies when out on the trail. While the risk of knee injuries increases with age,anyone who hikes, especially on steep or challenging trails, is at risk. This is because your knees bear more of your weight than almost any other part of your body. With each step, they have to absorb the shock of your body weight while at the same time flexing to facilitate motion in your leg. Let’s talk risks. First of all, the way in which most people injure their knees is actually by hiking down hill. When you are using your knees to braces each step, you strain them. Additionally, when going down hill many have a natural tendency to speed up, which also increases the impact exerted on your knees (not to mention the rest of your body!). 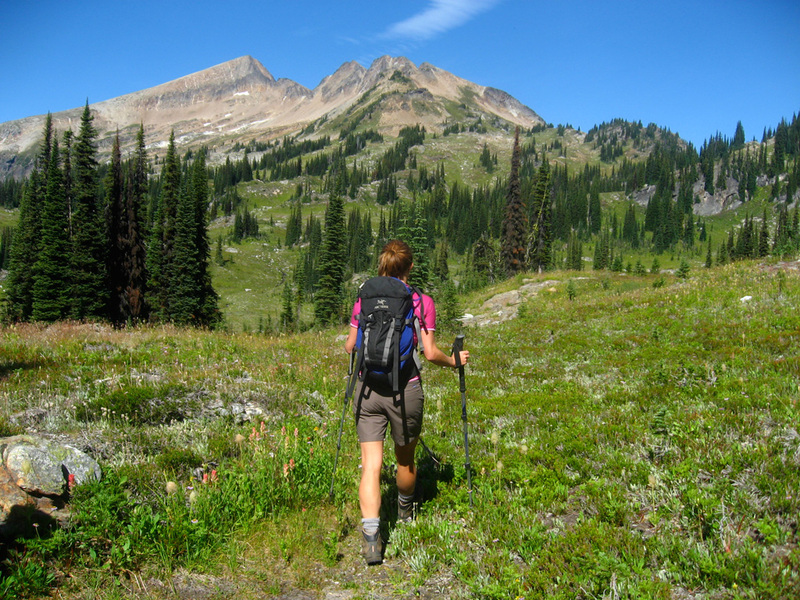 Any easy way to protect your knees when ascending and descending rugged trails is to use walking sticks/poles. These help distribute some of the weight of each step to your arms and to the stick itself, meaning less stress on your knees. If you’re serious about your ability to prepare long-term, it might be good to get used to efficiently walking with a walking pole or stick, because you’ll need it at some point in your life. Next, pack a knee bandage or two. These ‘braces’ help stabilize your knee and can be what you need to get you through the last small part of your trek. However, if you find yourself needing knee braces while hiking, these are only a temporary solution and you should seek medical attention to determine the exact cause of your pain and how to deal with it in a more permanent way. It is also very important that you adjust your pace and stance when going downhill. For starters, don’t use a stiff or locked leg to brace each step. This not only puts more strain on your knee every time it locks with your step, but it also decreases your agility if you should trip or fall (on a hill/steep slope, this could be a life and death matter!). Another technique for especially steep hills is to side-step your way down. This can be done on one side for a while, then switched to the other side to avoid too much strain on one side or the other. When side-stepping to navigate hilly terrain, take small steps and be constantly aware of your surroundings AND where your feet are going down. Remember guys, your knees are vital to your ability to get out of a tricky situation (and of course for an active healthy everyday life), and you want to take care of them. It is always best to take precautions and save your body before it’s too late and you find yourself with an injury that you may never fully recover from. Just like anything precious, take care of your body, and it will take care of you. « The End Of The Internet?